A few weeks ago I wrote an article for Software Development Times that recently was published to MuleSoft’s blog. I plan to continue the article series to cover tools, security, etc. This entry was posted in MuleSoft on 20/04/2018 by Jake Morgan. Today I am rebooting my blogging efforts. I will make all efforts to keep each posting short. If I find myself writing a lengthy post I may split it up into several posts. FYI – This site’s layout will evolve rapidly as I move forward with my postings. This entry was posted in Uncategorized on 20/04/2018 by Jake Morgan. A few weeks ago I reignited my electronics hobby by purchasing a couple of “put it together kits” that were on clearance at RadioShack. The first kit I tackled was the Velleman K8048 PIC Programmer & Experiment Board. I’ve played with microcontrollers/PICs in the past, specifically the Parallax BASIC Stamp 2. Its an exxcellent kit for the novice at a reasonable price. Soldering the components on the Velleman K8048 board isn’t that difficult. If you don’t have experience soldering I highly recommend that you watch a few YouTube videos and practice with a few wires. TIP: Solder likes to flow toward the hottest area. After I had completed the kit I went to my drawer of power supplies to locate a 12v unregulated or 15v regulated DC output power supply. Out of the 20 or so power supplies none of them met the requirements. I figured I could either buy a new one or have some fun in building a variable output power supply. My next posting will be part one of several covering my experiences with designing and building my power supply. This entry was posted in Electronics and tagged electronics, microcontroller, pic, projects on 30/07/2013 by Jake Morgan. My personal electronics projects have progressed to the point where I need to use an oscilloscope to not only diagnose my circuits but also to further my education. My research led me to a series of comments left on SparkFun. After looking at various other digital oscilloscopes I decided to give this one a try. This one appeared to be good enough to cover majority of my near future projects at a reasonable cost. NOTE: This oscilloscope is also my first personal scope and using a digital one. I had used various analog ones in high school and college. I’ll be posting more about the scope as I use it with my projects. I’ll start with some very basic uses during my power supply project. Additional information on the QuantAsylum QA 100 Digital Oscilloscope can be found here. This entry was posted in Electronics, Technology and tagged education, oscilloscope, technology on 21/07/2013 by Jake Morgan. Today is my first day at MuleSoft. We sell a lightweight cloud-friendly integration platform that implements integration best practices leveraging modern Enterprise Service Bus technologies. Feel free to give it a try. We have an open source community edition that establishes the base for our enterprise edition. This entry was posted in Career, MuleSoft on 15/07/2013 by Jake Morgan. My mom bought mine in the summer of 1978 at the local Gamble’s hardware store. My family it used for years until the bottom wore/rusted through. We used it so much that my dad even had to replace all of the tires and axles. My sister and I would use it to help mom in the yard or help her paint the foundation of the house. We’d fill it with soil, grass, flowers, buckets of paint, fishing worms, toys, etc. We’d convert it into space ships, cars, tractors, semis, planes…about anything a kid could dream up that Red Wagon was it. When I got my first bike I used a rope to pull my sister in it. However, this Radio Flyer car is crazy cool. I’d love to see how kids react to it. This entry was posted in Uncategorized and tagged personal story on 14/07/2013 by Jake Morgan. I’m constantly scouring other peoples projects looking for ideas. Devon’s PiPlanter – A Plant Growth Automator project cleverly uses nails and the conductivity of water within the soil to measure soil moisture. I’ll have to give this a try with the soil in our terracotta pot. We’re finding that the wild flowers we planted are very sensitive to low moisture. For example, we’ve had rain nearly a week straight until 2 days ago. Last night we noticed that the flowers were drooping already! A few pints of water and an hour later they were back to full strength. This entry was posted in Ideas and tagged project idea on 10/07/2013 by Jake Morgan. As a kid, I was lucky enough to have had an Apple II plus (late 1981 or 1982 model) with a Hayes Modem (110 and 300 baud), RAM extension board(s), EPSON dot matrix printer, and an Apple Graphics Tablet. The computer and accessories were originally purchased by the agricultural supply and services company that employed my father. In 1981, my parents attended an agricultural convention in Las Vegas that was showcasing the latest technology in agriculture. When they returned my dad recommended to his company that they purchase an Apple computer to keep track of customer soil sample results and historically keep track of applied fertilizer and chemical applications. He also mentioned that at some point the remote offices could move from the paper ledgers to the Apple. I don’t recall the details around the extension boards. I do know there was more than one board and one still had empty sockets. One of the first applications that I can remember seeing was a program that would use the Hayes modem to communicate with Harris Labs in Lincoln, NE in order to obtain customer soil sample results. It just so happened that during that demo a Harris lab technician was online. I remember my dad sending messages to the person and receiving their response. I thought that was the coolest thing in the world. I never got to experience that again until I was in college using IRC and BBS. My dad’s company used it heavily. They primarily used it to sketch out farmers’ fields. Then they would apply the soil sample data along with the amounts of applied fertilizer and chemicals. I had only seen it in action a few times. By the time we had it home it stopped working and my parents couldn’t justify the repair. Sadly, due to the nation’s farm crisis, the agricultural supply company folded in 1986 and liquidated. My dad purchased the system. I did as much as a 9 year old could do with it by himself. I’d open its cover and stare at all of the boards and circuits. I’d read the manuals and try to comprehend as best as I could. I did use it to write a few papers and I tried my hand at the sample BASIC programs in the back of one of the manuals. I’d spend the time typing the code in but they would never compile. I have a feeling the system didn’t have the BASIC ROM or if it did, it wasn’t working. We certainly didn’t have the BASIC floppies. At some point my dad purchased a fairly large software package that focused on ag management. I remember it costing north of $500 back in ’86 or ’87. 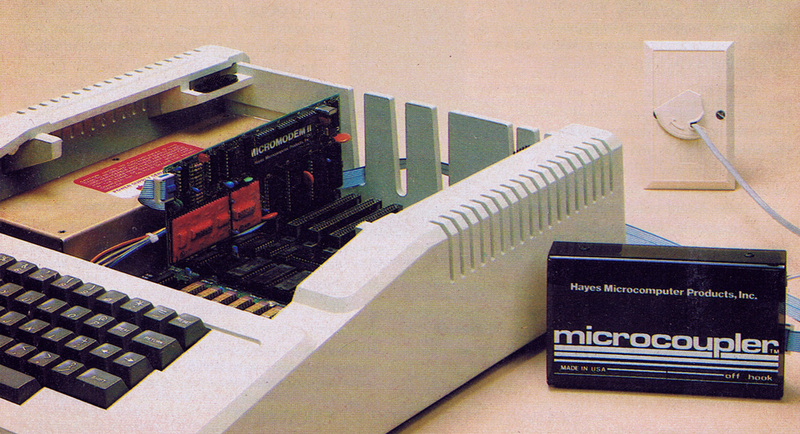 It also required additional RAM to be usable which back then was very expensive. My dad never did get the RAM but did use the program a few times. I believe it was usable up until a certain point, which then it would either error out or explicitly state it needed more memory. We did have one “game” floppy. It was the result of a few Lineville-Cilo (Iowa) high school students’ efforts to learn how to program. As you could probably imagine they were very basic text games. I can only remember two: basketball and tank (or it could have been battleship). Basketball was simple. It would go through a routine displaying what was going on such as if the ball was shot, passed, rebounded, or went out of bounds. I believe it even supported fouls and shooting free throws. When the ball was passed to you, it would prompt you for your move: pass or shoot. The other game was coordinate based so I don’t recall if it was call tank or battleship. Either way you had to enter in coordinates of where you wanted to fire and it would tell you whether it was a hit or miss. As time went by I became less interested the Apple ][ plus. Mainly because there wasn’t much more that I could do with it unless I found someone that could show me more. Additionally, the NEC CRT quit. But on my own dumb luck I figured out that I could use the TV in the den by using my Atari 2600’s TV adapter. Around 1988, the Apple ][ plus and accessories were sent to the attic. It was later sold to Tom Patterson, a local farmer. About the time I got to 3rd grade (1985) my school started using the Apple IIe. I remember thinking they were okay. They weren’t anything new to me since I did get to play on the Apple II plus at my dad’s work. Although the games like “The Oregon Trail” were entertaining. As I progressed through the grades I used the Apples (IIc, IIgs, Macintosh) more for word processing. In high school I used a few specific programs for the class I was taking. For example, I took a drafting II course that used a very basic drafting program that could also drive the basic educational pen plotter. Another example was using a spreadsheet during my high school business classes. Around 1993-94, I began to use x86 machines running Windows 3.1 when my mom’s office purchased a few Gateway 2000 machines. This entry was posted in Technology and tagged apple II plus, first, technology on 10/07/2013 by Jake Morgan. This isn’t a major project but very useful. The shelf is a 1×10. I used my sawhorses and Porter Cable 7-1/4″ circular saw to cut it to length. I offered to stain it but my wife liked the natural color. I didn’t want the shelf to be permanent nor do excessive damage to the drywall so I used #12 2-1/2″ finishing nails around the perimeter for the board to sit on. This entry was posted in Projects, Wood and tagged projects, shelf, wood on 09/07/2013 by Jake Morgan. When we moved into our house the fenced-in backyard was in rough shape. There were two large bare areas each about the size of a 4×8 sheet of plywood. I spent one afternoon working garden soil into the areas and reseeded the yard. I watered the yard each day for the next 3 weeks and nothing was growing in these bare areas; not even weeds. My wife and I brainstormed our options. We both hypothesized that the area must have been contaminated by construction materials so whatever we did it we would want a little separation. Therefore we came up with the idea of creating a 5×9 raised flower bed. Building the flower bed wasn’t hard with the help of my wife to hold the frame up while I attached the boards together. I bought 3 – 2x10x10 pressure treated boards. I cut 1 board in half and cut off 12″ from the other two. Used 3-1/2″ exterior wood screws to secure the corners of the boards. Once all four corners were secure I used scraps of 2x4s approx 16″ long to brace the corners and keep everything square. Additionally the braces double to up to accommodate for the uneven ground thus keeping the top of the boards level. Picture taken 08 July 2013 – We have squirrels and chipmunks/ground squirrels so I added the corn platform. Our spring weather has made certain projects challenging. This entry was posted in Projects, Wood and tagged projects, raised flower bed, wood on 08/07/2013 by Jake Morgan.